Jamie McKinney, Belt, Montana was our Row by Row winner. For store news and subscriber coupons, please sign up for my mailing list - here's the link to contact methods, so you can send me your email address. 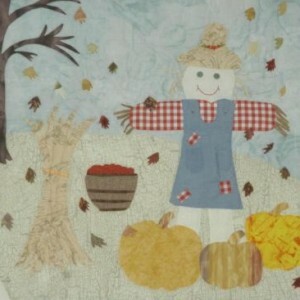 September Special is 20% off regular priced fabrics, precuts, kits and panels. Sale fabrics continue to be half off the original price if you finish the bolt. Lots of new fabrics have come in. I will be doing a weekly in-store special. When you come in, be sure and ask what this week's special is. AccuQuilt specials - lowest price on the Go Cutter though the end of September, regular $249.99, sale price $199.99. Ask me about the other Go Cutter specials, too. 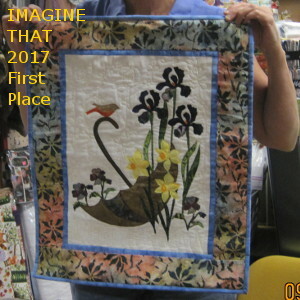 The Imagine That Club Unveiling Party has been moved up one week to this weekend, September 9 at 11:00 a.m. (The Rocky Mountain Sewing Festival will be on our original date of September 16.) Our party will feature lunch and prizes as well as shopping, sharing and other fun. In the 2017 Row by Row Experience event, you have until September 5th to collect free patterns, and until October 31st to submit a quilt for a prize. Moda layer cake recipes and cup cake recipes are available. Layer cake recipes are used with the 10 inch square sets. Cup cake recipes use 5 inch squares. This is paper piecing made sooo easy. It's a great way to use those layer cakes and charm packs that you have purchased. Quilt Retreats - October 13th, 14th, and 15th, and the following weekend, October 20th-21st-22nd. These two retreats will each feature a trunk show on Applique. Two kits will be provided, one for Needle Turn Applique and one for Machine Applique. Cost is $150.00 for two nights at The Barnsion, five miles east of Harlowton. You can check it out at TheBarnsion.com. All bedding and towels are furnished. Both retreats this month are full. We will be doing two again next October, the same weekends. We will also being doing retreats in April, those dates are not yet set. If you are interested, let me know as soon as you can. I will try to get the April dates set this week. * September 9 - Imagine That - unveiling party! September 23 - Sew Saturday - come and sew or cut fabric for quilts to be donated to the Yellowstone Boys and Girls Ranch. We may be discontinuing this due to lack of attendance. ** September 30 - Refresher class (No charge.) If you have taken a class and forgotten what you were doing, this is a good time to catch up. Bring your project and we will get you restarted. Let me know by Wednesday, September 27th if you are coming and what class you took. 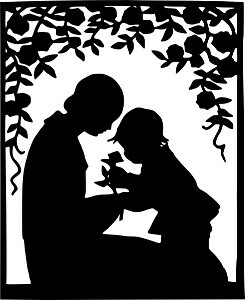 Please call to sign up for classes by the Wednesday preceding the class. If you think of any classes you might be interested in taking, please make suggestions. 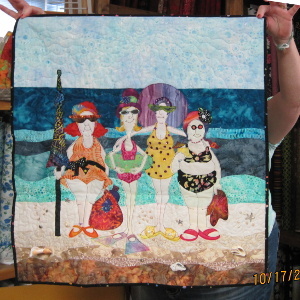 Join the sewing fun at Diana's Quilts-n-Things! 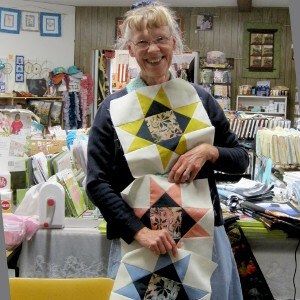 My quilting groups are friendly gatherings where you can concentrate, share, work, and learn. 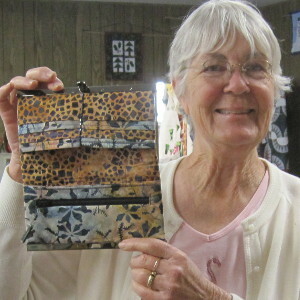 My store has special equipment and work space for quilters to use, and lots of materials and patterns. Come on in to work on your projects - where everything you need is at hand, including new techniques and experienced advice. PREPARATIONS: If a club or class member is bringing a guest, or if you want to attend a single session, or if you are a class subscriber and want to switch Saturdays, please contact Diana beforehand. 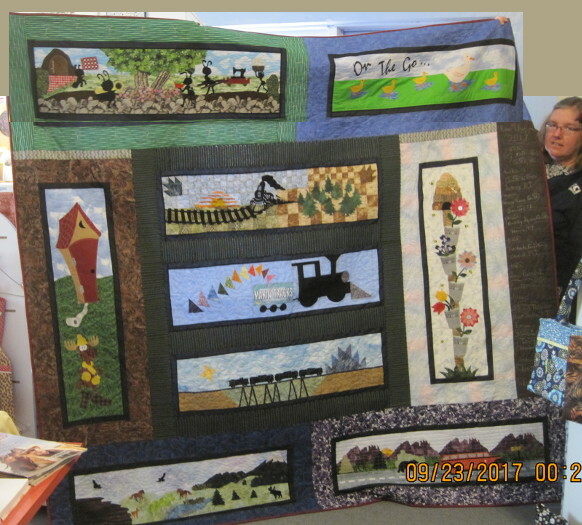 1st Saturday of each month in 2017 is Sew Saturday sewing quilts for charity - all hands are welcome, no fee, potluck. It does help if you let me know you are planning to attend. Fabric donations are welcome! My Imagine That Club is an annual challenge. 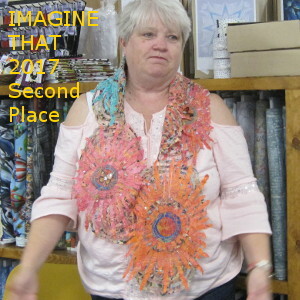 Each Imagine That Club participant receives a free fat quarter of a select fabric to inspire a project, and then works at home to create whatever they imagine from it. 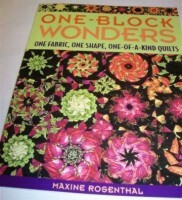 An Imagine That project can be a quilt, a wall hanging, or whatever someone wants to make. There is just one limitation: "NO potholders, please." Use your Imagination! Your project can be any size and may include other fabrics as you like, but it must include at least part of the fat quarter. (Small pieces count.) In August or September all the participants will get together for an Unveiling Party with food and prizes. $5 participation fee, open to anyone. Saturday classes are all day classes starting at 9:30 a.m. and running until 4:30 p.m. In 2014, we sewed the 12 Months of Christmas, completing easy Christmas projects including a Christmas stocking, themed wall hangings, coasters, table centers and table mats, and a mug rug. In 2015, we sewed 12 Months of Holidays. This included a different project each month and many different techniques. Kits for the projects were priced at 25% off. These quick and easy projects help you decorate for holidays, and make seasonal gifts. To attend for a specific project, pay a class fee, plus the cost of the kit. 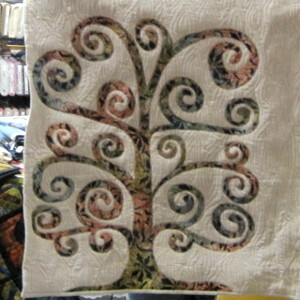 January featured a Valentine's Day wall hanging, using reverse applique. February featured a Easter project. March featured a Spring project. 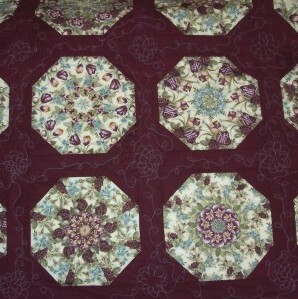 April featured a Paper Pieced table runner for Mother's Day. 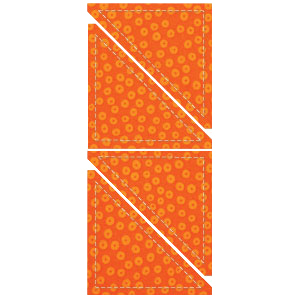 May featured a Tumbler block flag for July. August featured a "stained glass" table runner. September featured a turkey placemat. October featured An American In Paris table runner. 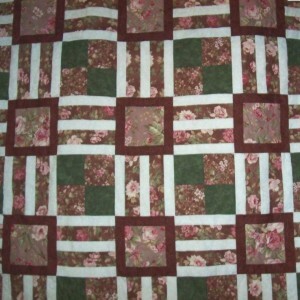 This Saturday activity runs all day, starting at 9:30 a.m.
We will be sewing quilts to donate for charity fund raisers. Some quilts will be going to the Yellowstone Boys and Girls Ranch, some to Special K Ranch in Columbus, some to A Safe Place in Helena, which is for Military women suffering from Post Traumatic Stress, and others where ever else we feel they can be used. To keep up our stamina, each Sew Saturday will feature a pot luck lunch. 1st Saturday of each month, from 9:30 a.m. to 4:30 p.m. Anyone is welcome. If you can, please let me know by the day before, if you would like to participate or donate fabric. Work on those UnFinished Objects. Actual progress. What could be better? In 2017, we are scheduled for the 3rd Saturday of each odd month (January, March, May, July, September, November). January's meeting is at 11 a.m. Learn the basics with an easy pattern. This Saturday class runs all day, starting at 9:30 a.m. Eyes are fooled by this clever Nine Patch technique. 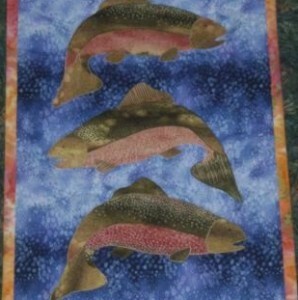 Example quilts on this website are this pink one, this one with fish, #6-1034, #6-1102, and #6-1204. With the fun Stack and Whack technique, every block is different. 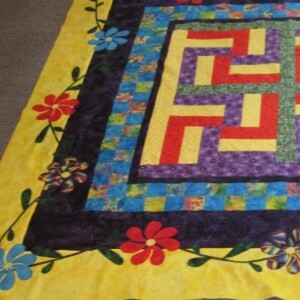 Example quilts on this website are #6-955, #6-912, #6-989, this red, black, and white one, this pink, blue, and yellow one, and , #6-1331. This class will be covered on two Saturdays. The second Saturday's date and activities will be determined by what works for the students in the class. 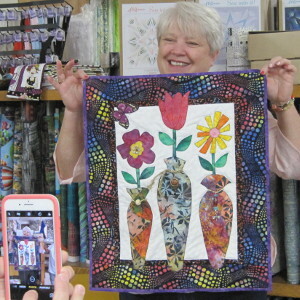 The class runs all day, starting at 9:30 a.m.
A One Block Wonder quilt is based on 6 layers of fabric with a 24 inch repeat. 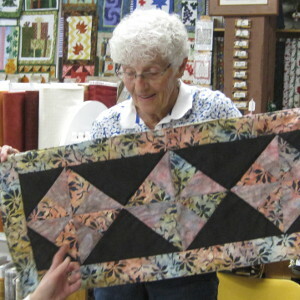 Quilt pieces are cut with a similar technique to those of a Stack and Whack quilt, but the blocks are sewn together differently. 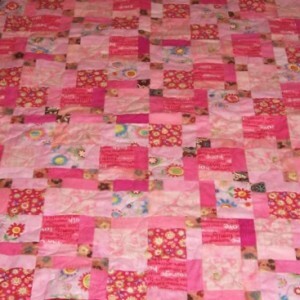 Example quilts on this website are #6-1052, #6-1309, and #6-1335. This class may be covered on two Saturdays. If needed, the second Saturday's date and activities will be determined by what works for the students in the class. 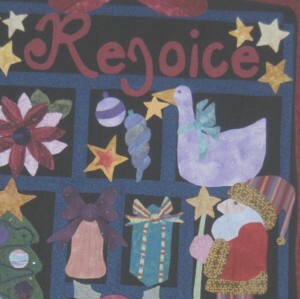 The class runs all day, starting at 9:30 a.m.
Needle turn applique is a hand applique technique. 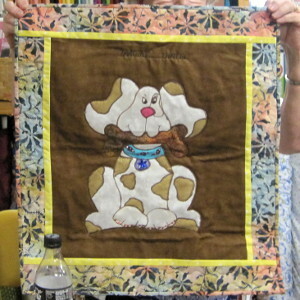 Learn needle turn applique with a small project that can be turned into a pillow, table center, or quilt section. 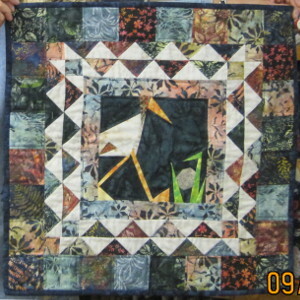 An example quilt on this website is #6-489. Needle Turn Applique is an all-day Saturday class, starting at 9:30 a.m.
Students in my Raw Edge Applique class make a wall hanging, using a McKenna Ryan pattern. An example on this website is #6-878. Rag quilts are comforting classics. 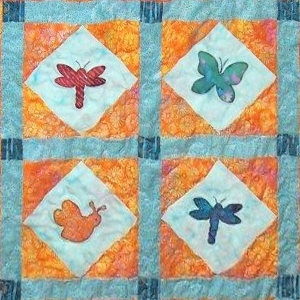 Example quilts on this website are #6-1024, #6-927, and #6-917. Table runners are a fun way to complete a small quilt project. A variety of patterns are available at my store. Examples on this website are #6-865, #6-695, #6-915, and #6-837. 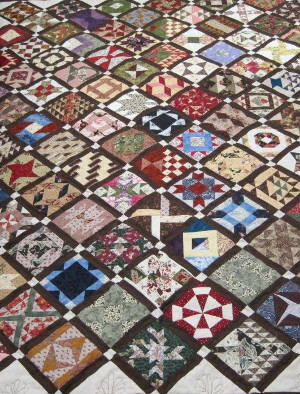 In 2010, we tackled "The Farmer's Wife", a spectacular quilt made with six inch blocks. See a better picture here. Block of the Month was first offered on Monday nights in 2010, was back by popular demand in 2012 - again in 2013 - and again in 2014. Come in and play with the GO! Cutter and dies. 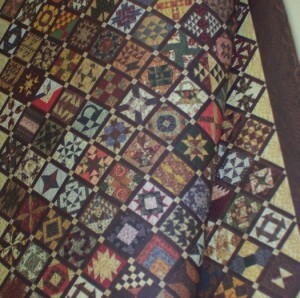 Quilts on this website made with the GO! 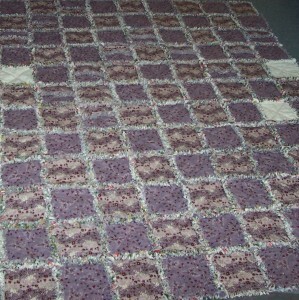 Cutter are the Bugs quilt #6-1066, this geometric quilt #6-1067, and the rag quilt #6-1024. GoGo Club was a Monday night club in 2010. 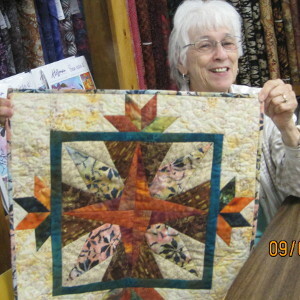 There is no pattern for the progressive quilt - each person creates a quilt center from good quality 100% cotton fabric, and passes the started quilt on to another group member, who adds the next section, and so on. 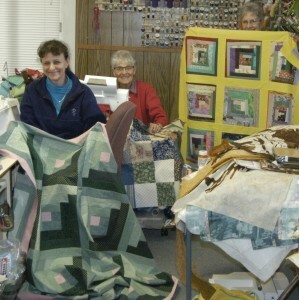 When a quilt has been completed, with care from everyone in the group, it returns to the person who started it to keep. 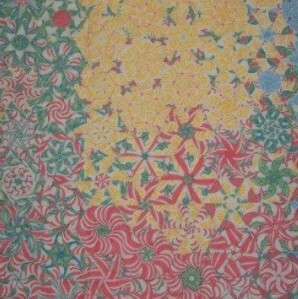 There's a better picture of this quilt in the Gallery. The Progressive Quilt was a Monday night club in 2011. We enjoy making small projects related to the seasons. Wall hangings, table runners, and other fun fabric art items make it easy to dress up our homes. 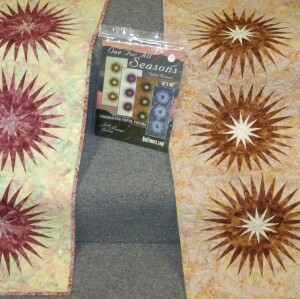 The Seasonal Club was a Monday night club in 2012.
please call Diana's Quilts-n-Things at 406-632-4861. Join us for some fun. Republication of the images on this page requires permission. The contents of this page are Copyright © 2019 by D. Day and Concise Logic.